We eat a lot of fruits in Guatemala. Some are fruits I have eaten before, but sometimes we get to try new fruits. It is exciting to try new fruits because you don’t know what they are going to taste like. Some fruits look good but they are not always good. Some fruits look bad but they taste good. 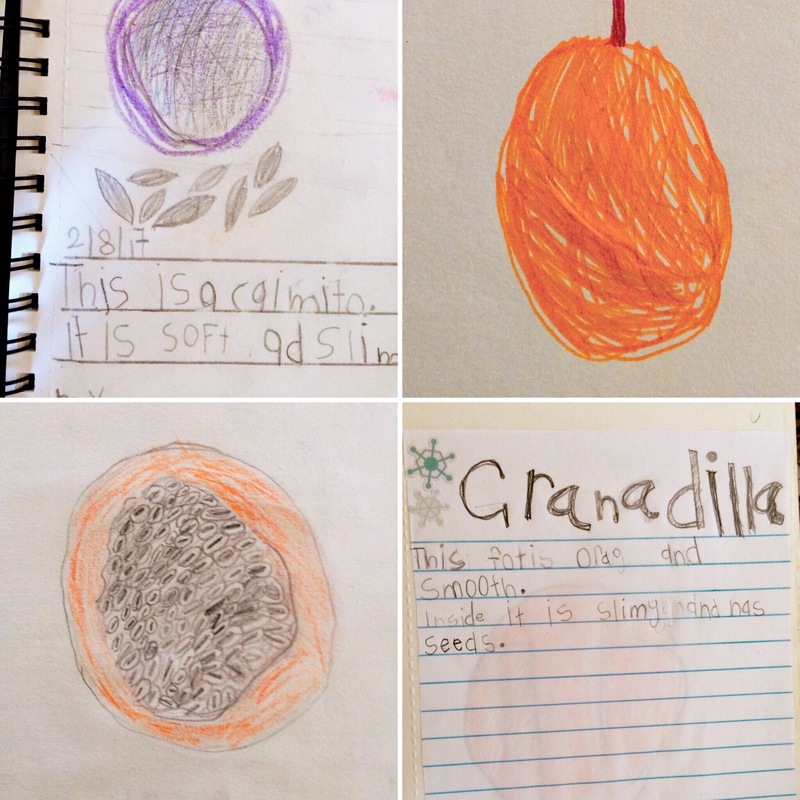 For example, the Granadilla looked orange on the outside and was gray, black, and slimy on the inside. I was brave and I ate it. It tasted like a pomegranate. It was a little tangy and very sweet with a lot of juice. ¡Gracias por los regalos de frutas para mis compleanos! Miss you Abby , but with this musing and your lovely drawing and well formed letters Poh2 and Kong2 feel much better. Are you learning to read better now?